This year has started with a bang for Jacqueline Fernandez when the announcement of her collaboration with world-famous cosmetics brand, Huda Beauty hit the market! Yes, you heard that right. 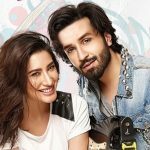 This is Huda’s first-ever collaboration and it’s with none other than our Desi Bollywood beauty! Huda Kattan, the brain behind Huda Beauty, posted on her Instagram and website about their first official collaboration and launch of a new lash line ‘Jacquline Lash’. It’s not like this is the first fake lashes being launched by the cosmetic company but it is the first time the namesake of the lash line has actually been involved in the process of designing it. Kattan informed her 31 million followers on Instagram that the new line will hit shelves on January 29th and said that she was super excited to be working with Fernandez and the Bollywood beauty responded that she believes and shares the same passion and philosophies as the brand. But, why did Jacqueline Fernandez become the first muse of Huda Beauty? It’s because Kattan and Fernandez share a similar story. 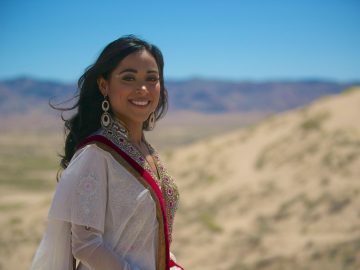 As a child, Fernandez explored both her Sri Lankan and Malaysian descent. And although she wanted to be an actress, she didn’t pursue the line until she became Miss Sri Lanka in 2006. Apart from being passionate and determined, she is a humanitarian and is involved with PETA. According to the brand, all these qualities made her the perfect fit for their first collaboration. The ‘Jacqueline Lash’ line focuses on glamour and bling while being comfortable at the same time. So, while the lashes are long and sultry, they aren’t too heavy to wear and feel exactly right. And well, the namesake of this set of lashes absolutely loves it. You can clearly see how excited both these women are by their Instagram accounts and their followers definitely can’t wait to check out the new lash line for themselves. This is just the start, as Huda Beauty is stepping up its game with a series of collaborations. 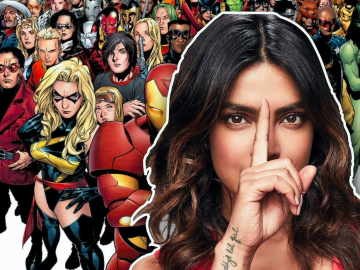 Is Priyanka Chopra Jonas The Next Marvel Superhero?